Combined heat and power generation also known as cogeneration is an energy and cost-efficient way of producing electricity and heat, in which there is a high use of energy in the fuel. 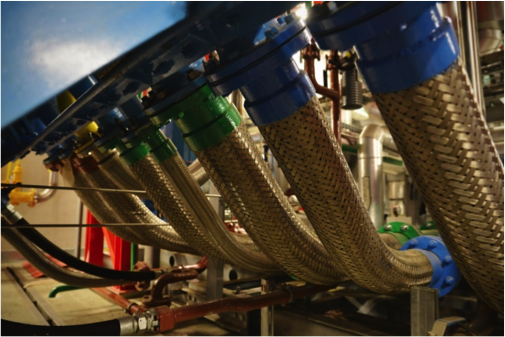 Cogeneration may therefore be a way to solve the energy needs of not only industrial companies, but also hotels, hospitals, water parks and other energy-intensive industries. Realization of own resources is a complex task, involving many pitfalls, whether in terms of financing, obtaining public permits, vendor selection or securing investment or operating support. Due to our long experience in the preparation and management of energy projects, we are ready to help at any stage of your project implementation. Assess the entire necessary context, economic, technical, legal and others. The objective is to evaluate the conditions under which is the construction feasible (mainly from an economic and technical point of view). An important parameter is securing financing. We offer support in securing financing, both in the form of bank loans and support in securing funding using grant programs (Operational Programme Enterprise and Innovation for Competitiveness, etc.). Assessing reconstruction plan for financing institution involving initial assessment, implementation process and final assessment of the completion of the reconstruction. Elaboration of opportunity study for the construction of cogeneration power plant in Litvínov. Elaboration of study analyzing potential of CHP in the Czech Republic, estimation of the possible development of cogeneration in the Czech Republic.